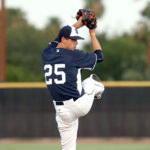 Mason Thompson pitches in the first inning. Photo by Ken Bugajski / EVTimes. Reliever Nick Kuzia pitches for the TinCaps in the 6th inning Friday night. Photo by Ken Bugajski / EVTimes. For the second night in a row, the Lake County Captains jumped out to an early lead, and the TinCaps were unable to over come the deficit, resulting in a 5-4 loss in the regular-season home finale. The Captains jumped on starter Mason Thompson right away, scoring three runs in the first inning. 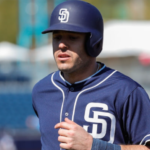 Todd Isaacs led off with a single and then scored all the way from first on catcher Jonathan Laureano’s double to left field. Jose Vicente then singled, and Thompson hit the DH Mitch Reeves to load the bases with two outs. Elvis Perez singled up the middle to plate two more runs. In the top of the second, Thompson walked two of the first three batters, and Laureano came through with another RBI hit to increase the lead to 4-0. 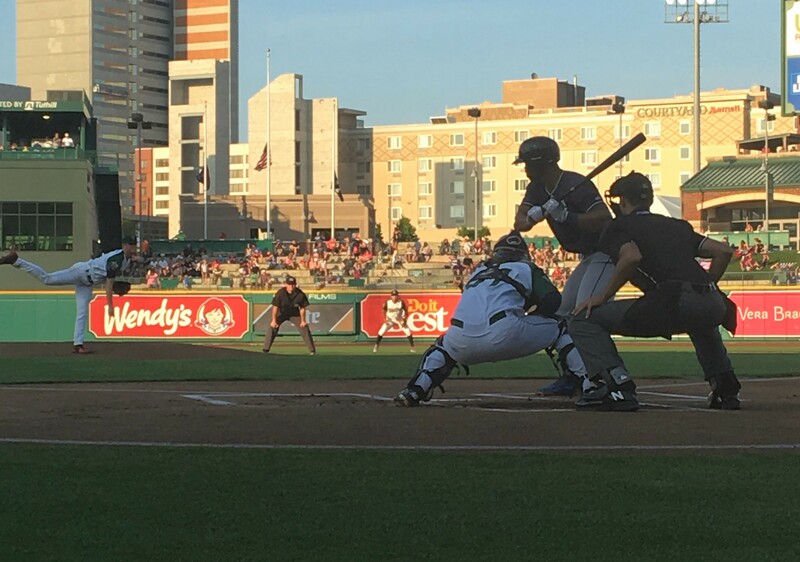 The TinCaps made up some ground in the third, when Kelvin Melean and Jeisson Rosario hit back-to-back singles and then advanced to second and third on a balk. Jack Suwinski hit a laser down the first-base line for a bases-clearing triple. 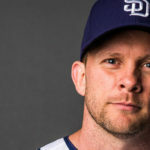 Suwinski himself scored during the next at-bat, sprinting to home on a passed ball and just beating the put-out attempt. 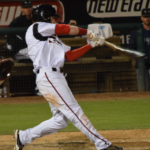 Agustin Ruiz in his first at bat as a TinCap; he went 2-for-4 on the night. Photo by Ken Bugajski / EVTimes. 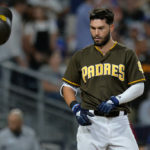 The Captains added one more run in the sixth when Will Benson followed Thursday night’s grand slam with a moonshot solo home run to right field that turned out to be the difference in the game. 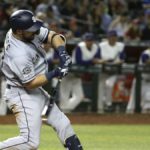 Facing a 5-3 deficit, the TinCaps put pressure on the Captains in both the eighth and the ninth, but could not grasp the victory. Their best opportunity came in the bottom of the eighth, with the bases loaded and only one out. Captains’ reliever Thomas Ponticelli rose to the challenge, though, fanning the next two batters to end the inning. 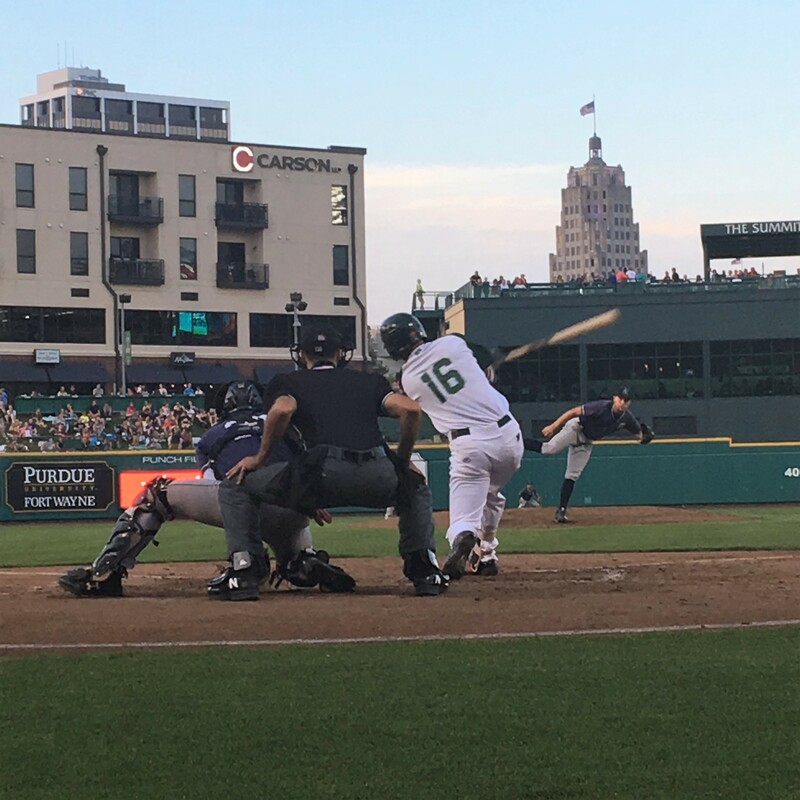 The TinCaps started strong again in the ninth, with recent addition Agustin Ruiz smashing a double to right and Jalen Washington following with a broken-bat single to put runners at the corners with no outs. Pinch-hitter Michael Cantu brought in Ruiz, but at great cost, as he grounded into a double play, leaving the TinCaps down to one out with no one on base. Melean hit a bouncer to short to end the game. 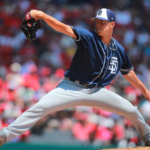 Although Thompson struck out five in 3.1 innings, he struggled in his start, facing fourteen batters in his first two innings and giving up four runs on six hits, while walking three and hitting one more. Late-season addition Nick Kuzia fared better in 3.2 innings of relief, giving up one run (Benson’s HR) on three hits and striking out three. 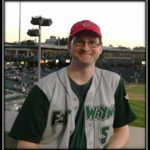 Like the TinCaps, the West Michigan Whitecaps also lost Friday night, leaving the two teams tied for the final playoff spot in the Midwest League East. Saturday, the TinCaps travel to Grand Rapids for a three-game series with the Whitecaps. The series has become a default play-in, as whichever team wins the series will advance to post-season play. Announced attendance was 8,082, making the total season attendance 376,422. Jack Suwinski led the TinCaps lineup, going 3-for-4 with a triple and two base hits. Two other TinCaps had multiple hit games: Jalen Washington with two late-game singles and Agustin Ruiz, who, in his first game as a TinCap, went 2-for-4 with a single and a double.